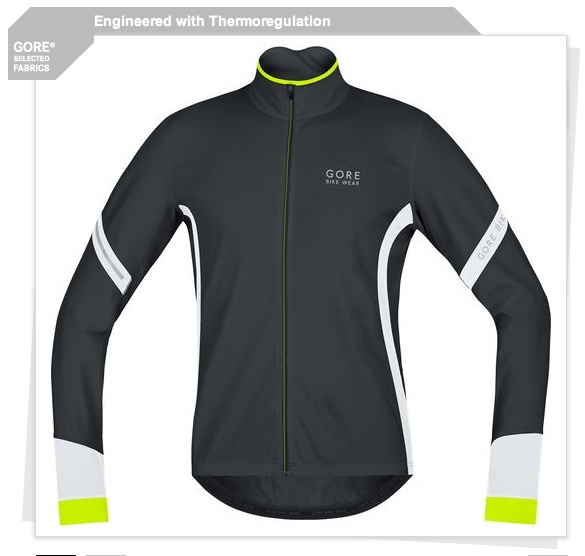 I've long been a fan of GORE Running Wear and this is the first year I've been able to try out there GORE Bike Wear. I'm finding the Power 2.0 Thermo Jersey to be just the ticket for riding in Jackson right now. I'm about twenty rides in and the Thermo jersey has been my favorite jersey by far. Ride temps have been 30°-45°. Below 40° I've been wearing a super light, LS base layer under the Thermo and that has been perfect (with a superlight wind shell). Above 40° I've worn a sleeveless baselayer and that seems to be the right system. The main body of the garment features a brushed interior. The jersey is super stretchy and extremely comfortable to wear. It doesn't have much wind resistance in the body or arms, but because of this it's incredibly breathable. A great feature that I was skeptical about was the lightweight, stretchy Lycra section at the wrists. My first thought was that I was in for cold wrists and that it just didn't make sense. However, the beauty of this feature soon became apparent. By making the wrists lightweight Lycra, GORE has eliminated any bunching under gloves. It works perfectly and my worry about cold wrists was completely unwarranted. One problem with cold weather jerseys is always that their pockets aren't deep enough. If you're riding in temps of 40°, you're going to be bringing extra clothes or stashing clothes on a climb. Again, the Thermo jersey has it covered. It's three main pockets are deep and stretchy, allowing them to be stuffed full. There's also a handy zippered pocket that just happens to be the exact size of my phone. What more could one ask for? Reflective accents on the back? Yep, it's got those too. This is a well thought out, well made jersey that I would highly recommend for anyone looking for a cold to cool weather jersey.